Dr. Elizabeth Mezzacappa could seriously hurt you. But if she did hurt you, it would be nonlethal and totally ethical (to understand why, you have to read the article she wrote, “Radical Futures,” in the July – September issue of Army AL&T magazine). Her laboratory got its start in nonlethal weapons, but just because they’re nonlethal doesn’t mean that they’d be pleasant. 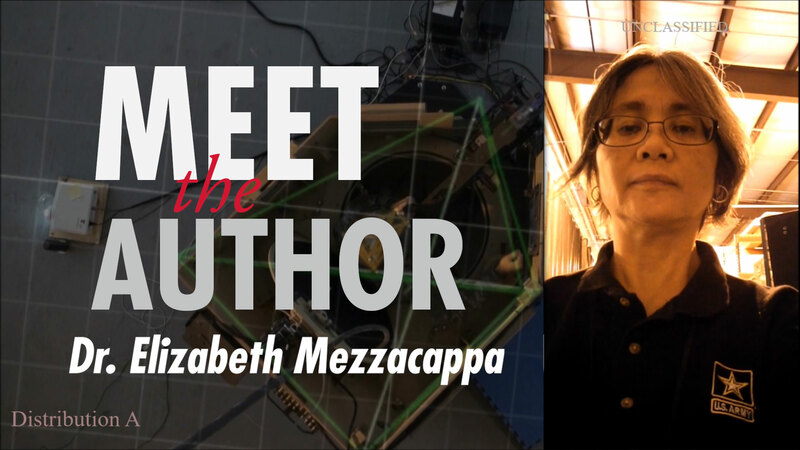 That’s just one of the many cool things about our new pal, Liza—that’s Dr. Mezzacappa to you—from the U.S. Army Armament Research, Development and Engineering Center (ARDEC) Tactical Behavior Research Laboratory (TBRL) in Picatinny, New Jersey. Another cool thing: She’s been on panels at a bunch of science fiction conventions. Seriously. In a recent interview, she said that the work TBRL is looking at in the near future would’ve been science fiction when she first started out. “The coolest thing we’re doing,” Mezzacappa said, “is building the closest thing that the Army has right now” to the holodeck on “Star Trek.” (For you non-Trekkies, the holodeck is a virtual reality system that can create “solid” characters and objects as well as holographic projections to simulate specific vistas or scenarios.) That’s so the TBRL team can figure out all kinds of way-beyond-your-pay-grade things about—among other things—the neural reactions of Soldiers in particularly stressful situations—crowd control, for example. The computer can play any scenario that the artists create and the team can get tons and tons of data about tactical behavior. In addition to cool, Mezzacappa is soft spoken, like the nicest therapist a person could have. And she’s working on weapons. But mostly she’s working on how Soldiers respond to those weapons—lethal and nonlethal—from both ends of the barrel. Just take a look at the video. You’ll get it. When the amazing “Radical Futures” article dropped out of the ether and into our laptops, our first thought was, “We are not worthy.” Meanwhile, Mezzacappa was thinking that Army AL&T wouldn’t be interested. Probably the first time in the last decade she’s been wrong. We were immediately intrigued when we wrapped our flabbergasted heads around the work her team does, which falls under the general heading of Inventing the Future of Warfare, and has a whole lot of bullet points beneath it, one of which would be: Testing Nonexistent Weapons. We could go on. Better yet, do whatever you have to do to hustle on over to read Mezzacappa’s “Radical Futures.” It will be worth it. Oh, and since the article was published, Mezzacappa said, her team has been “contacted by a company for collaboration and I was invited to speak at a London conference because of the article.” Could not have happened to a nicer person. The original paper she wrote and submitted to a science journal, she said, was about a nonlethal weapon. “We were trying to generate obscuring requirements to protect vehicle mines. There’s personnel mines that traditionally blow up people, and they don’t want to blow up people anymore.” The question was, can we “make a nonlethal way to prevent people from removing the vehicle mines that we put out?” And how much obscurant would be necessary? “So we designed a test bed, which I believe is in the article, it’s that fog test bed. That was what the article was about.” Talking with Mezzacappa and her team is a continuous revelation of the fascinating and vital work that they do. Perhaps fortunately for Army AL&T, that paper was rejected. Mezzacappa, for whom “persistent” might be an understatement, kept looking for venues to show the work TBRL does. For writers guidelines and to submit articles, go to: https://asc.army.mil/web/publications/army-alt-submissions/. STEVE STARK is senior editor of Army AL&T magazine. He holds an M.A. in creative writing from Hollins University and a B.A. in English from George Mason University. In addition to more than two decades of editing and writing about the military and S&T, he is the best-selling ghostwriter of several consumer-health oriented books and an award-winning novelist. 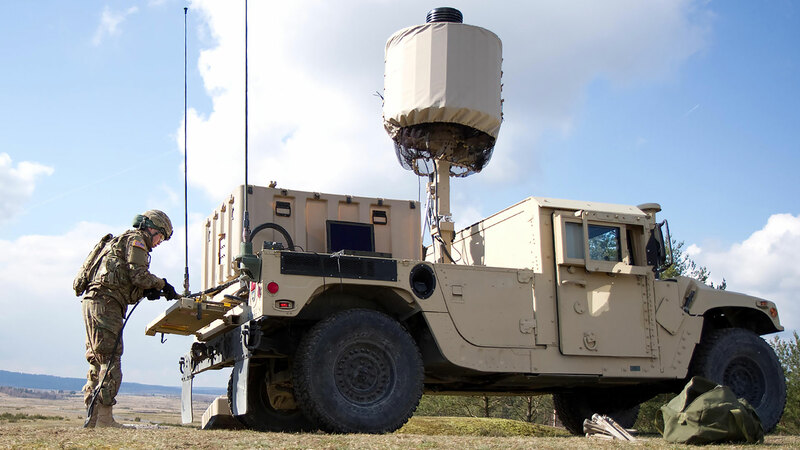 JPEO-CBRND directorate aims to advance joint capabilities Every receiver a sensor Running The Options Thinking In Volumes Why The Hype?